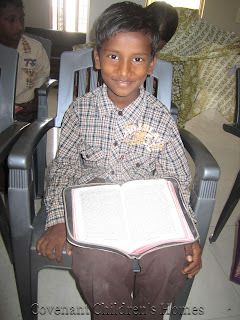 My name is Adhithaya I am studying 2nd class. Before I come to the CCH home I used to play with children in the streets. When my father was died no one was taking care for my family. I have three small brothers. My mother use to do field work. I am so interested to study in English medium, but my mother can’t provide much money for that. I used to pray to God about my studies. Always, I worried about my brothers. 2. What is the best part about living the in a CCH home? I come CCH home through one my village brother. When I joined in a CCH home I feel so happy. Really God was hearing my prayer, not only my self my brother’s also studying with me in CCH home. I really was giving so thanks for God. And I never stop the praising God. God is so great, believe in Him. If you love God, you may get peace in your life. If you help the others, God will help you. After ten years I may get 19 years old, that time I just want to see in my life is very beautiful and I able to help for others. So, now I decided that I will study until I get to be an engineer. 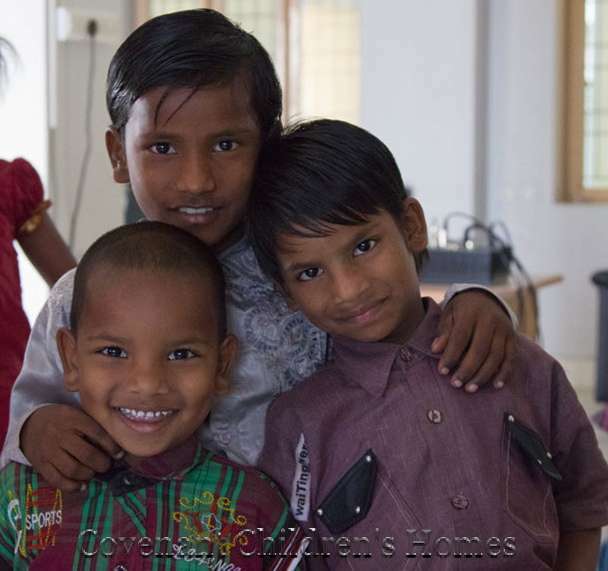 These are two of Adhithiya’s brothers who live with him in the CCH Home! Adhithiya is the oldest, then Karthik, and then Ravi Teja! He takes care of them and helps them get ready for school. Adhuthiya is a great older brother! He is also first rank in his 2nd grade class and helps me translate with the other boys! These boys had never been to the beach before, even though they only live 30 minutes from it. They had such a great time together playing in the water! A team came through and painted all of our homes last summer. These boys want to be police and they love transportation. SO the team did a city scene for them! They love it and they are so happy in this home! Exams are next month! Please be praying for these boys!